The Reno Historic Races will honor the H-Modified racing class, the longest-lived internationally sanctioned racing class in existence, at this year's event. The fourth annual Reno Historic Races will take place May 4 through 6 at the Reno-Fernley Raceway, located at 1855 Hwy 95A, 30 minutes east of Reno, Nevada. The Reno Historic Races delivers an exciting blend of historic production and special purpose-built racecars. The world-class historic cars are divided into groups according to make, age and horsepower. 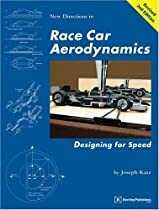 A typical representation includes racecars from prestigious manufacturers such as Ferrari, Jaguar, Porsche and Corvette that were raced in great series such as Formula One, Can-Am, and Winston Cup stock cars. One of the more notable features of the event is its "open paddock," which allows spectators the opportunity to walk right up to the valued vehicles and interact with the driver and crew. Out of an entry list of more than 100 esteemed historic race cars will be a score of H-Mod cars. Better known today as the DSR class, these smaller, lighter, and lower displacement cars originally came from Italian and French factories in the early 1950s to meet the demand for increased sophistication in handling and style for race cars. Enthusiasts caught on, and quickly built even more limited production specials that used available production running components in highly innovative and modified lightweight bodies. H-Mod cars have made significant contributions to motor sports in terms of technological innovation and driver development. The Reno Historic Races is pleased to have as its special guest Reno resident Tony Settember, one of only a handful of American drivers to have ever participated in Formula One racing. Settember competed in seven grand prix during his racing career: his best result was second place in the non-title 1963 Austrian Grand Prix on the Zeltweg aerodrome, behind Jack Brabham. In addition to Settember's European exploits, he competed in what is regarded as the highest level of sports car racing in North America: the Can-Am Series and the United States Road Racing Championship, driving a Webster, a Genie, and a Lola. Settember will be signing autographs at the event. The Reno Historic Races run daily from 9 a.m. to 5 p.m. Tickets cost $15 for the three-day event. Tickets are available at the Reno-Fernley Raceway; at the National Automobile Museum, 10 S. Lake St. in Reno; and at Dynamic Motorsports, 9728 S. Virginia St. #C in Reno. The event is a fund raiser for The National Automobile Museum (The Harrah Collection), located in downtown Reno. The National Automobile Museum is an internationally recognized museum and a nonprofit organization whose mission is to collect and preserve the automobile for future generations, and to tell the story of the impact of the automobile on American society. The 105,000 square foot museum features changing exhibits, four period street scenes, and more than 200 antique, vintage, classic and special interest vehicles ranging from 1892 to present. 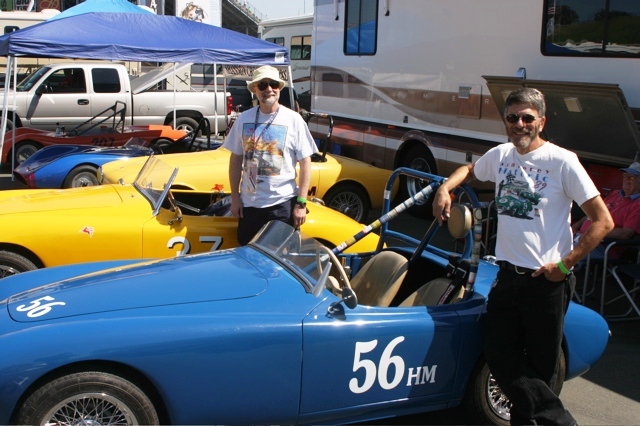 The Reno Historic Races are produced and sanctioned by the Historic Motor Sports Association (HMSA). Established in 1977, HMSA is an organization specializing in race events that feature historic cars through 1972. HMSA emphasizes the preservation and proper use of historic race cars. Nick Kurczewski has written about the history of Bandini production and described Marc Richelsoph's featured 1957 Bandini Sport International “Saponetta”. The car now sports a 750-cc dohc four-cylinder Crosley engine with Bandini aluminum heads and red cam covers. Pass the word and drag those old cars out of the garage. Plans are underway for the largest H Mod event in history, to occur during the spring of 2007 at a West Coast race track. Car preparation will be to HMSA car prep rules, which are pretty straightforward and should not be a problem for anyone with vintage club affiliation. If you have any questions about car eligability or tire requirements, contact Marty Stein. Driver eligibility is also per HMSA driver prep rules. All vintage clubs belong to the Vintage Motorsports Council (VMC), and thus any recognized club affiliation will suffice. VMC or other licenses are NOT required. Neither is HMSA membership ... only payment of the entry fee. join the H Mod Yahoo discussion group, or contact Marty Stein via email at tessmar06@yahoo.com . Historic Motor Sports Association is one of the most respected historic racing organizations in the United States, producing world class events across the country. HMSA members own, restore, preserve and race the most historic and valuable sports and racing cars in the world. HMSA events feature historic production cars built through 1966 and purpose built Formula, Sports Racing and IMSA cars built through 1984. HMSA was created in 1977 to serve as the sanctioning body for premiere historic racing events such as the world famous Monterey Historic Automobile Races and mandates that the cars race as they were and not what they could have been (historically correct within time period the car originally raced). Two H Modified cars earned the Best Presentation and Performance Cup for their race groups at the 20th annual Jaguar Wine Country Vintage Car Races. Every year a cup is presented to one owner/driver in each race group at this vintage racing event at Infineon Raceway in Sonoma, California. 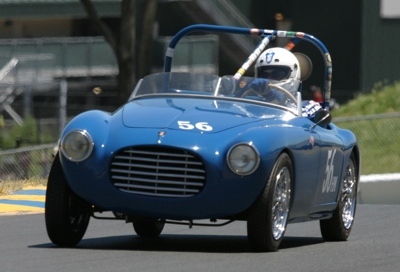 Leland Osborn of San Miguel, CA, (pictured above) took the Group 2 cup with his 1955 783cc Shannon-Crosley Special. Fellow racers in Group 2 ran cars included Allard, Aardvark, Austin-Healey, Cleary Special, Cooper Bobtail, Corvette, Devin Panhard, Fiat Crosley, HRG, Jaguar, Miller-Crosley, Nardi Crosley, Nash Healey-Cadillac, Nichols Special, Porsche, Schaghtocoke Manning, Siata, Triumph, and Warrior Bristol. Marty Stein of Jackson, CA, (pictured immediately above in Turn 2 and below next to his #56 in the paddock) won the Group 1 honors with his 1952 750cc Siata 300BC. Other cars in this group included Alfa-Romeo, Austin, Bugatti, Crosley, ERA, Ford, Ford Barber-Warnock, Ford-Miller, Frazer Nash, Jowett Jupiter, Maserati, MG, Morgan, National, Porsche, Rigante Chrysler Indy, Riley-Ford, Vauxhall, and Winfield-Ford.